The collection of bells of Belarusian Grandfather Frost is very close to the first one hundred. After receiving the news of the handing the 99th specimen of the magic collection to the wizard by one of his guests at the Manor, Mother Winter, wife of Santa Claus, who resides in her summer residence at the North Pole from spring to late fall, has prepared to Santa Claus a gift – the 100th magic bell. She sent with the postal service a fabulous copy to the spouse in the Belarusian Manor in Belovezhskaya Pushcha. In early summer, the wizard is waiting for the mail surprise. Winter Mother did not spread information about the magical features of the 100th instance of the collection and is keeping a secret. But, according to her words, the package will be handed personally to the wizard Santa Claus by a staff member of the post office in the village of Kamenyuki in the International Children's Day on June 1, 2014. Journalists wishing to attend the session should go online registration before May 30. Paris, May 23 - In the upcoming session chaired by Sheikh Al Mayassa Bint Hamad Bin Khalifa Al-Thani, which will be held from 15 to 25 June in Doha (Qatar), the World Heritage Committee will consider 40 nominations for inscription on the World Heritage List of UNESCO. Five candidates are extensions of sites already inscribed on the List. During the upcoming session, the Committee will review the state of conservation of World Heritage sites. June 16, at 13:00, a press conference with Sheikh Al Mayassa Bint Hamad Bin Khalifa Al-Thani will be held. The press conference will also be attended by representatives of UNESCO and the Advisory Bodies Committee (International Union for Conservation of Nature - IUCN, the International Council on Monuments and Sites - ICOMOS). Representatives of the public will also be able to follow the work of the Committee on the Internet, in the format of daily webcasts (see http://whc.unesco.org/). Natural objects: Okavango Delta (Botswana), Karst in Southern China (Phase II) [extension of "Karst in Southern China"] (China), Stevns Klint (Denmark), Wadden Sea (Denmark and Germany) [Extension of "Wadden Sea"(Germany / Netherlands)], Tectonic-volcanic formation Chaine des Puys and fault Liman (France), the Great Himalayan National Park (India), Nature Reserve Ghat Hamiguytan (Philippines), Bialowieza Forest (Belarus / Poland) [extension of the "Belovezhskaya Pushcha / Bialowieza" (Belarus / Poland)], Cat Ba Archipelago (Vietnam). Mixed and cultural sites: Ancient Maya City of Calakmul and protected rainforests [extension of the "Ancient Maya City of Calakmul, Campeche"] (Mexico), Landscape complex Chang An (Vietnam). Cultural sites: Khapak-Nyan - a network of roads in the Andes (Argentina, Bolivia, Chile, Colombia, Ecuador, Peru), Grand Canal (China), Settlement of leaders and stone balls of tribe Dikis of the pre-Columbian period (Costa Rica), Objects of Great Moravia: Slavic fortified settlement of Mikulcice and the Church of St. Margaret of Antioch in Kopchanah (Czech Republic, Slovakia), Cave with rock paintings Pont d'Arc, known as the cave of Chauvet-Pont d'Arc, Ardeche (France), Vestverk of Carolingian era and Corvey Abbey (Germany), Cultural Landscape of Tongo Tengzug of the people Tallensi (Ghana), Rani-ki-Vav (Queen Steps' Well) in Patan, Gujarat (India), Shahr-Suhte (Iran), the Citadel of Erbil (Iraq), Caves Mares and Beit Guvrin in the Judean lowlands, as a microcosm of the Earth Caves (Israel), Landscape of Vineyards of Piedmont: Langhe, Roero and Monferrato (Italy), Silk factory in Tomioka and related facilities (Japan), The Silk Road: the initial portion of the Silk Road, a network of routes Tien Shan corridor (Kyrgyzstan, Kazakhstan and China), Cultural Landscape of Mount Mulanje (Malawi), the ancient city of the Kingdom Pugh (Myanmar), Nellefabrik Plant (Netherlands), Namhansanson (Republic of Korea), Bulgarian historical and archeological complex (Russian Federation), Historical Jeddah, Makkah Gate (Saudi Arabia), Cultural Landscape of the Hydrochloric Anyang Valley (Spain), Cathedral of Jaen (extension of the "Monumental Ensemble of Renaissance in cities of Ubeda and Baeza") (Spain), the Silk Road: corridor Pendjikent-Samarkand-Poykent (Tajikistan and Uzbekistan), Bursa and Kumalikizik: the birth of the Ottoman Empire (Turkey), Pergamon and its multifaceted cultural landscape (Turkey), Khor Dubai (Dubai Creek) (United Arab Emirates), Monumental earthwork buildings Poverte Point (United States of America), the Barotse Cultural Landscape (Zambia). Site proposed for inclusion in the List of "Palestine: Land of Olive Trees and Vineyards. Cultural Landscape of Southern Jerusalem, Batir" will be considered by the Committee in accordance with the accelerated procedure applied to sites, which are in serious danger (see paragraphs 161 and 162 of the Guidelines for the Implementation of the Convention for the Protection of the World Heritage Site). Documents required for a better understanding of the principles of the Committee: evaluation of advisory bodies of the World Heritage Committee: IUCN evaluation for nominations and inscription of natural and mixed properties to the World Heritage List and adding; ICOMOS evaluation of applications for inclusion of cultural and mixed properties to the World Heritage List and adding; reports on the state of conservation of properties inscribed on the List; reports on the state of conservation of properties inscribed on the List of World Heritage in Danger. As part of the session, a series of parallel events, in particular, a Roundtable on "World Heritage in Africa" with the participation of Ministers of African States will also be (June 21, 13:00 - 15:00). In another parallel event on partnerships in the field of World Heritage, successful projects for the conservation of objects implemented with the support of foundations and private sector companies will be marked (June 22, 19:00 - 21:00). During the meeting, conclusions and recommendations of the Youth Forum of the 38th session of the World Heritage Committee, which will be held in Qatar from 4 to 15 June, will be submitted to members of the Committee. It should be noted that the tentative schedule of the session, as well as the procedure for consideration of sites and objects can be changed in the course of its deliberations, and then will be changes in the agenda. Belarusian Grandfather Frost, dressed in his summer costume, visited the "Carnival of Animals" of the Kiev Circus Tent Arena. The trip of Father Frost from his official residence in Belovezhskaya Pushcha to Brest was accompanied by his faithful Assistant and Puschik. The guest from Pushcha arrived with goodies. The Santa Claus's helper handed a traditional Belarusian doll to the circus artists as amulet and talisman. Puschik presented "Tree of Health", which he made with their own hands. Father Frost talked to young audiences, arranged an impromptu photo shoot with the kids and adults, and even managed to take the wishes for the upcoming 2015 New Year. At the end of the presentation, Father Frost thanked the participants for the invitation to the magnificent occasion, organized by Brest Regional Philharmonic. Belarusian tennis player Max Mirnyi took part in the filming of the family reality show, the first one in the history of his country's. Recall that according to the scenario of the telecast, the athlete with his family is traveling to nine cities of his native country, overcoming more than two thousand kilometers during the trip. We bring you the seventh series of "Peace Tour" Project, which tells of the trip of the tennis player's family to Brest Fortress and Belovezhskaya Pushcha. Participants of motorcycle rally "Independence - West" of the Russian Federation visited the eco-farm "Belovezie" and paid tribute to the soldiers and officers of the Red Army, who died during the Great Patriotic War in Belovezhskaya Pushcha. A memorial sign - 12-ton boulder in honor of the dead - was set three years ago in the compartment 142, Yazvinskoe forestry area. "the boulder is a symbolic mass grave of those who died and was buried in the forest," the owner of the eco-farm "Belovezie" lieutenant colonel in the reserve Vladimir Zhukov said. "On June 26 to 29, 1941, fierce battles were approximately in this area of Belovezhskaya Pushcha and just to north, in Jurkov Grud place. Remains of the 49th Infantry and the 208th mechanized division offered stubborn resistance to the enemy. These battles tie further advance of five army corps of Germans needed them east of Minsk. 23 names of fighters killed by the bullets of the enemy became known. But it's a drop in the sea. Belovezhskaya Pushcha still keeps its military secrets. At this time, 20 moto-tourists participating in the rally of the series "Independence" started the route of the length of 3600 kilometers in Moscow suburban area of Kashira. They also visited cities of Gomel, Brest, Grodno and the town of Polotsk. A team led by Sergei Utkin also stopped in "Belovezie" and visited the town of Volkovysk. May 18, 2014 Website "Our Hour" "Symphony of the grandeur of nature Bialowieza Forest"
On May 16 and 17, a regional open-air competition of young artists "Symphony of Grandeur of Nature of Belovezhskaya Pushcha" was held in the town of Svisloch. 30 young artists from six children's art schools of the Grodno region presented their work to the audience and the jury. Towns of Shchuchin, Svisloch, Novogrudok, Berestovica, Stomach and Krasnoselskiy can deservedly proud of their talented guys. Nobody would argue that it is very difficult to judge the children's creativity, because every child is a huge world of bright colors, inspiration and imagination. Nevertheless, competition still remains competition. Success is always pleasant. He inspires new victory. Krasnosel'skaya Children's Art School has been successful in this competition. Two students from this School brought awards - Varvara Grinyuk and Ilya Nekalo (2nd year of training, department of arts and crafts). Varvara Grinyuk in the middle group took third place, and Ilya Nekalo in the younger group took 2nd place. Their teacher Lyudmila Kaverskaya received the Diploma for the quality of students. Four other contestants from Krasnoselskaia Children's Art School were awarded diplomas. Winners brought prizes. Hooray! Krasnoselskiy! Tourism in a Belarusian agro-farm for a guest from Moscow ended by institution of criminal proceedings. It all began from the Internet where information about farmsteads for recreation, which is located on the shores of a picturesque lake near Belovezhskaya Pushcha, appeared. After reading it, a team of Muscovites has carefully learned about the service, appreciated it and decided to make a trip to Belarus. As a result, a dozen people with 3 cars, including a 30-year-old mistress of Pavel Egorov, came to the resort from the Russian capital. After putting things, guys promptly set the table and began to drink alcohol in large quantities. Pavel Egorov drunk quickly to intoxicate then began to swear with the mistress. Then he freaked out and left the hunting lodge on the street. At this moment, his eyes caught an auto "Peugeot j5» of the just arrived caretaker of the agro-farm, who was going to prepare a sauna for the Russians, as "Grodno Truth newspaper" wrote. Knowing not what he is doing, Egorov being under alcohol sat in somebody else's salon of the unlocked cars, started the engine and drove off. Seeing that the drunken Russian leaves, the caretaker ran after him, banging on the glass by hand and trying bring the guest to reason, but everything was in vain. He fled the area of the agro-farm. However, he drove a bit, not more than a half kilometer. Then he lost control and crashed into a tree. In this situation, the thief should return and repent of their deeds. But he did not do so. He let the run. He reached Vawkavysk on a diesel train, where he planned to clarify the further route. But it did not happen. As soon as he stepped from the car, he was stopped by the transport police officers to check personality. They treated with suspicious to the slovenly drunk passenger who could not explain why and where he follows. Therefore, checking his documents and knew that the man came from Svisloch town, they called to the colleagues from the local police department to find out about possible sins from the suspicious man. Finally, it resulted in a very interesting story surfaced. "A few hours earlier the police from Svisloch received a message that one of the locals is riding drunk on his car "Peugeot j5"," head of the Police Department of the Svislotch Police Office colonel Edward Shestak says. "Checking the information, my staff found out that it does not correspond to reality. The car owner was at home, while his friend, who is the caretaker of the agro-farm, went in his car. Having found it, we learned about the happened hijacking and did not know where to find the malefactor. So, our colleagues have worked in advance. After the checking, the District Department instituted against Mr. Egorov a criminal investigation into the theft. In addition, the Police Department has drawn up three protocols for administrative offenses – driving a motor vehicle without a license and in the state of intoxication and committing the accident. Without a doubt, the resident of the neighboring country who did not know measures in drinking will remember this adventure for all his lifetime." From 3 to 4 May of 2014, first meeting of cyclists "Belovezhskaya Pushcha 2014" was held in the National Park. Employees of the National Park "Belovezhskaya Pushcha" and the travel agency ATIR were the initiators of the mass bike ride. Participants of the bike ride started in the village of Kamenyuki, went through the protected and most attractive places of Belovezhskaya Pushcha and made a stop at the Manor of Belarusian Grandfather Frost. "Proprietors" of the Manor warmly welcomed the guests, introduced the participants of the bike ride to sights of Belovezhskaya Pushcha and fabulous Residence of Santa Claus. Good magician congratulated tourists with the beginning of the bicycle season, said words of encouragement and wished good rest. All participants of the bike ride were presented with souvenirs. Further, the way of the cyclists was lying in the Polish part of the Bialowieza Forest. On May 4, the cyclists successfully completed their journey and returned home. We are glad to cooperate with outdoor enthusiasts! A new route "Pushcha's Robinsons" appeared in the National Park "Belovezhskaya Pushcha". Family.by learned the details of the two-day trip for the kids. The new route goes across the protected places of Belovezhskaya Pushcha. Within two days, tourists will have to go 21 km, accompanied by a specialist. Participants will hike along cutting lines in the forest, accessible only for backpacker. The route will run through fens, pine forests and oak groves with old-growth trees. Along the route, the tourist will see various types of ecosystems - fens, pine forests, protected oak forests with old-growth trees, the traces left by glaciers, and perhaps the inhabitants of the forest. To become a participant in the walking tour, it needs to gather a group of from 2 to 10 people. "What age is for children to enjoy overcoming the route?," we are interested by asking a specialist from the Tourism Department of the National Park. "Children are different," reported in the Department. "Everyone has their own features. In principle, this trip can be taken from 10 years. "Will halts be arranged during the walking, and how many?" "Halts will be arranged by depending from the participants' state," the specialist of the Tourism Department said. - For example, we had a group that made the first halt after 15 kilometers, though all the way was 21 kilometers. Nobody will hurry anyone. Travel is for 2 days, and its cost makes 200,000 Bel.Rubles (~$ 20) per person. It does not include rental equipment (tents, sleeping bags, etc. – 50,000 Rubles) and food (breakfast, lunch and dinner – 200,000 Rubles). By the way, while traveling, you need to order your own food at least two days prior that the organizers could prepare it. "What kind of food should I bring?" "First of all, easy and satisfying," we were told. "And designed for 2 days of travel. These are cereal, canned goods, bread, rice, nuts, halva, tea in a thermos - all prepared, as in place there will be no possible to cook your food." The walking campaign is carried out by appointment at least 2 days prior to its implementation. 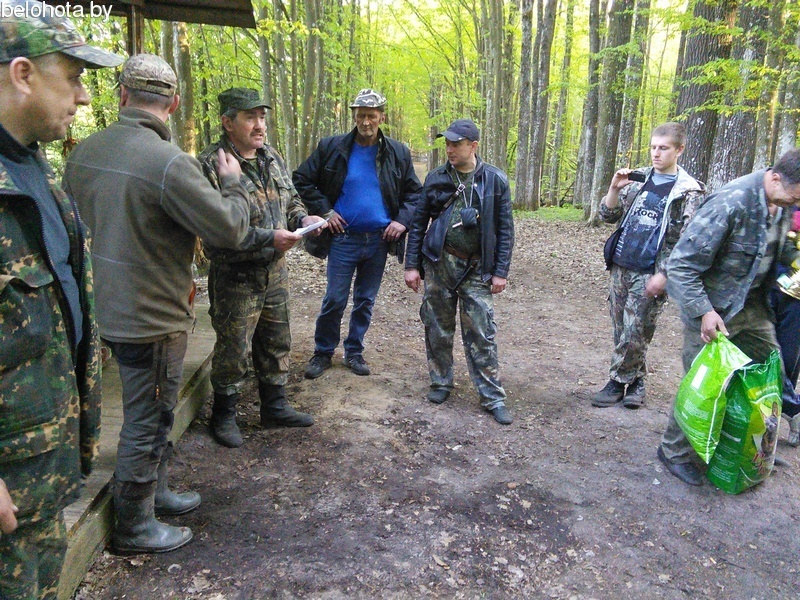 Championship was held from April 29 to May 1 in the National Park "Belovezhskaya Pushcha" in the enclosure of the Yasenskoe forestry area. All who wished were invited to participate in the Championship, with their pets of the pedigree "GER" with exterior rated no lower than "good." 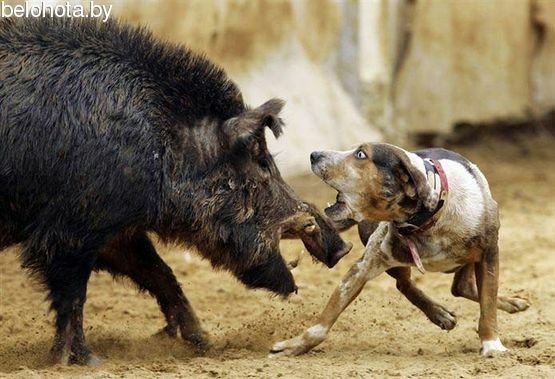 The main purpose of this championship was to promote the National Park "Belovezhskaya Pushcha", as an environmental, educational and nature protective agency with established traditional forms of hunting, including hunting dogs. That is also popularization of the historic venue for royal hunting. An important objective of this event was to identify the best working qualities of huskies, sharing experiences by dog owners and experts on breeding, keeping selection of hounds. 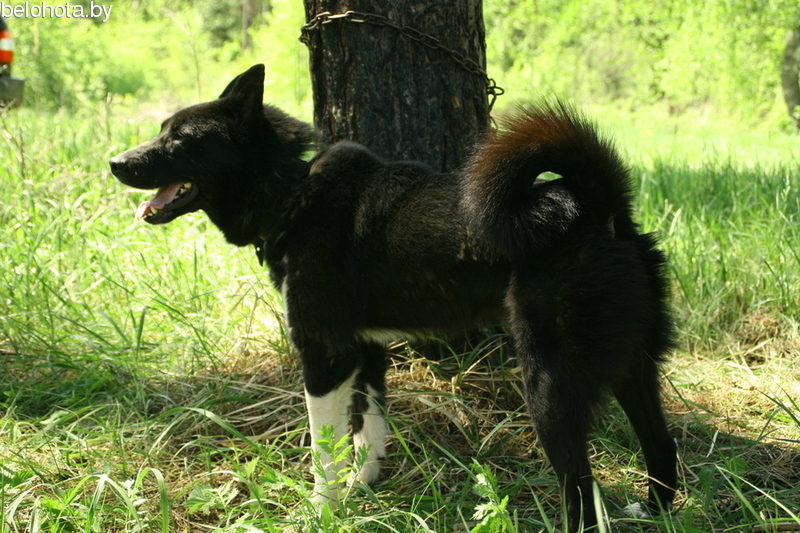 Dexterity and skill of four-leg pets were evaluating by professionals, the main of those became E.Kovalchuk - Expert of Republican Category. 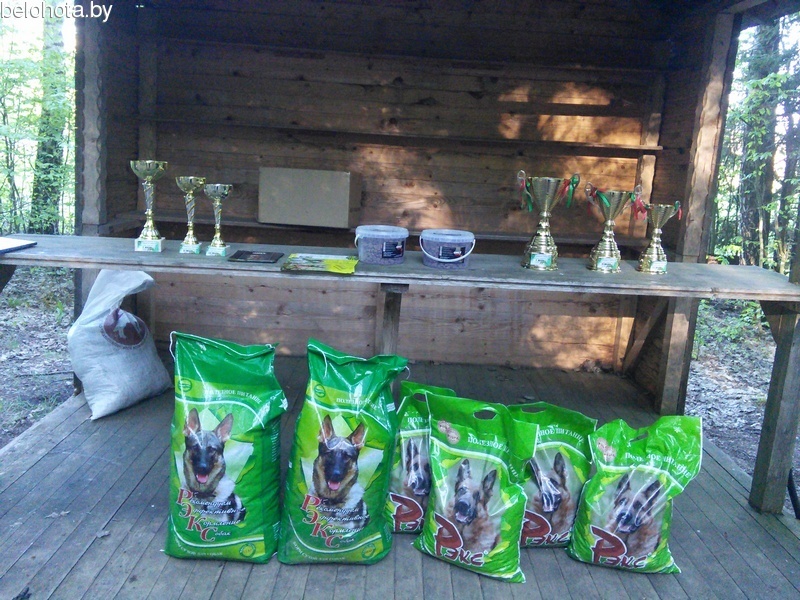 The winners were awarded with cups and dog food. Ruler of Hungary visited Poland in 1938. At the auction Allegro, photos of an interwar hunting in the Bialowieza Forest are for sale. 21 pictures were shot in 1938 during a visit to Poland by the Hungarian regent and Admiral Miklos Horthy, as "Nasha Niva" reports. Photos also show the Polish president Moscicki, Minister Bek and the Hungarian ambassador to Poland. It is known that Polish Marshal Rydz-Smigly participated in that hunt. 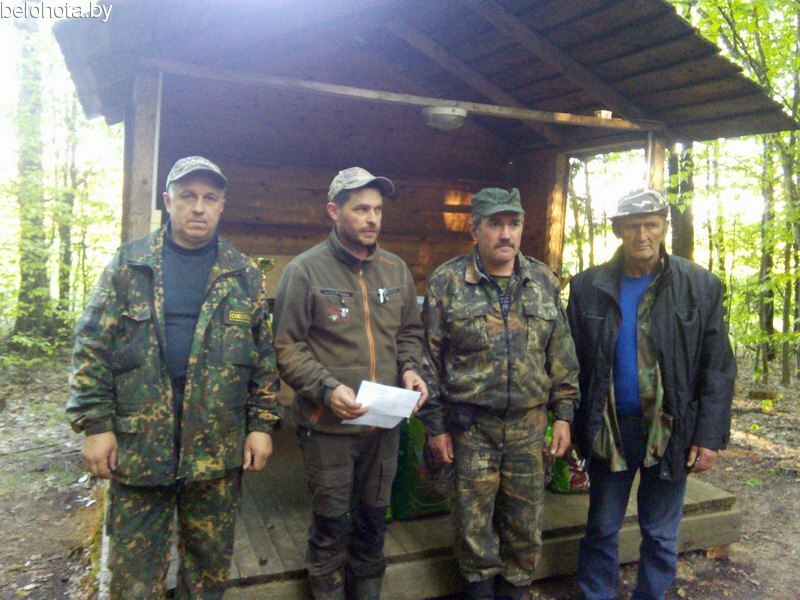 Politicians were photographed together with the killed lynx, wild boars and other animals. Pictures of format 18 by 13 cm were made by known pre-war photographer Witold Pickle. Some pictures are signed and have a seal. The auction starts from 999 zlotys (about 333 U.S. dollars).